The most important nativity scene performance in Puglia, Italy, during the Christmas is the one in Alberobello that goes back to the 1970. 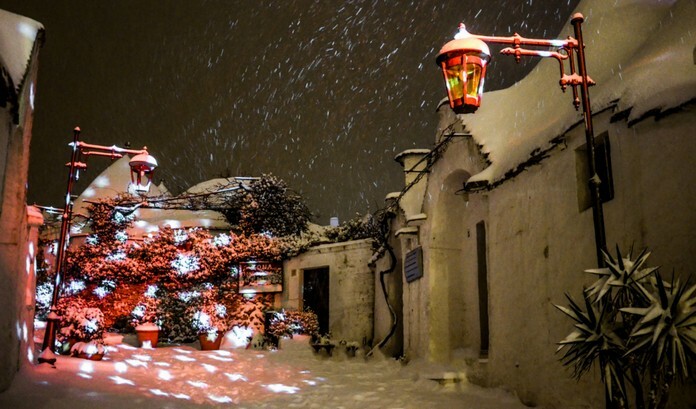 Alberobello Light Festival is the first Festival of Lights in Puglia. 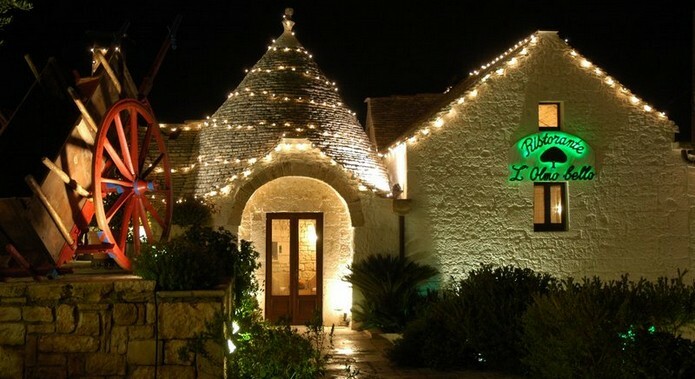 At Christmas time, the magic of light will enhance the Trulli buildings during the Festival. 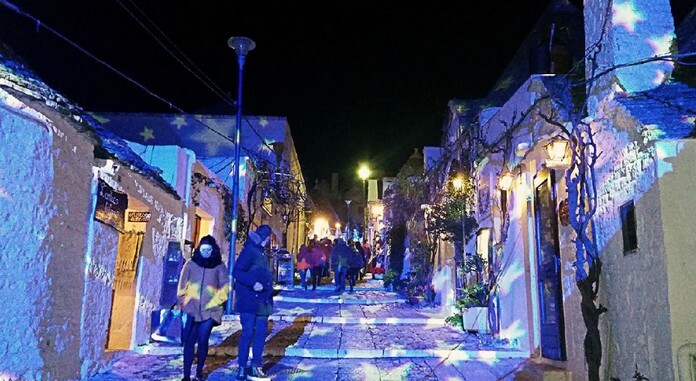 Until January 7, people will explore the little town and walk along its artistically illuminated little streets of beautiful Alberobello. 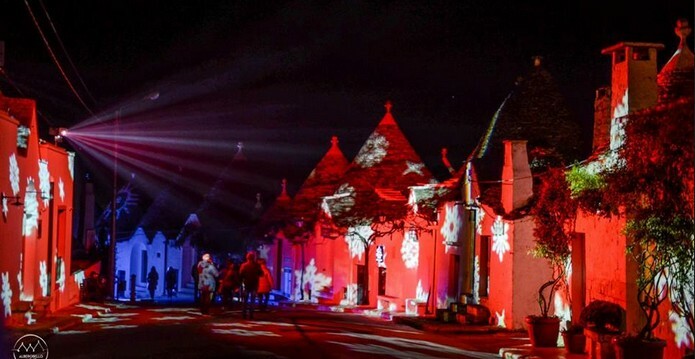 UNESCO has chosen 2015 as the International Year of Light and Alberobello will be the first UNESCO city in the world to open the new year with an international event.